Dark circles can occur for a few reasons. The most common cause is sun damage, which leads to extra brown pigment under the eyes. Or, since the skin under the eyes is the thinnest in the body, sometimes the blood vessels show through and appear dark. Q: I have dark circles under my eyes! Why does this occur? And how can I regain that bright-eyed look? How Can I Kick My Sugar Addiction? How Can I Get My Upper Body In Shape? through and appear dark. People with darker skin, and especially those of Mediterranean descent, are predisposed to getting dark circles. 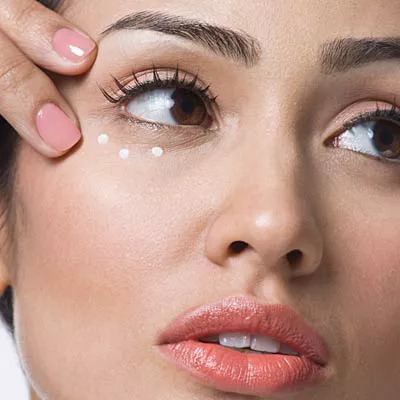 There are several OTC products, as well as prescription treatments, that can help lighten the under-eye area. Look for products with retinol, vitamin c, peptides or alpha hydroxy acids. Hydroquinone is also helpful, as it interferes with the cellular chemical reaction that produces pigment. Two products that I think work well to help reduce dark pigmentation and brighten skin are Lumixyl and Perle, available in doctors' offices without a prescription. Make certain to use a SPF 30 daily to prevent further darkening. If you also have under-eye swelling, you might want to try an antihistamine cream to reduce the swelling. You can also use ice packs for 10 minutes daily and sleep with your head elevated.